Stasis is a point-and-click adventure game that tells a horror story in space, and it launched on Steam yesterday. In Stasis, you play a man called John Maracheck who awakens from stasis (naturally) to find his wife and daughter missing and the spaceship he's on headed on a collision course with Neptune. He's in a lot of pain, physical and emotional, and it probably doesn't help that there's blood everywhere and weird stuff keeps happening. 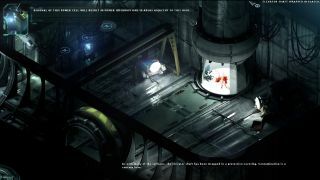 The gameplay trailer above launched with the game, and gives a good representation of the atmosphere of the game and what kinds of puzzles you'll need to solve to help John try to make a terrible situation less terrible. Stasis is available for 20% off if you buy it by the 7th of September, so if you're into isometric gore then make sure you pick it up before then.